It is easy to look at this world and all of the evil there in and feel that as one person we are powerless. It seems like my voice and vote doesn’t matter and my single voice is too small. Well, this ideal is family to the fear and doubt that is given by the evil one. This concept has halted a lot of would be powerful movements. A wild forest fire can be started with one match and whole wars have been started with one shot. What if the energy that was donated to the negative thoughts were reserved for the one? The one who would dare to speak out against injustice or the one who would dare to love their spouse in spite of infidelity. Or the one who would dare to challenge a bully or plead for the less fortunate. Or the one who would choose to see that the glass really is half full or understand that the best dancing is done in the rain. Jesus made a huge impact living only 33 mortal years on earth. God has given most of us more time and the same power! 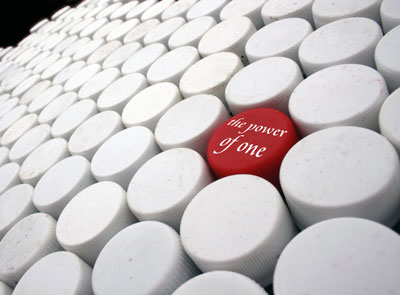 Let’s celebrate the power of one and do something with it.